King Henry V - the great Lion of England - is long dead. In 1437, after years of regency, the pious and gentle Henry VI, the Lamb, comes of age and accedes to the English throne. His poor health and frailty of mind render him a weakling king -Henry depends on his closest men, Spymaster Derry Brewer and William de la Pole, Duke of Suffolk, to run his kingdom. Yet there are those, such as the Plantagenet Richard, Duke of York, who believe England must be led by a strong king if she is to survive. With England's territories in France under threat, and rumours of revolt at home, fears grow that Henry and his advisers will see the country slide into ruin. With a secret deal struck for Henry to marry a young French noblewoman, Margaret of Anjou, those fears become all too real. As storm clouds gather over England, King Henry and his supporters find themselves besieged abroad and at home. Who, or what can save the kingdom before it is too late? If you haven’t read this series, or anything by Conn Iggulden, you put down whatever you are doing this instant and get your hands on one of his books. I don’t usually brag on about my favourite authors, so when an author comes by and I fall instantly in love with them, I will tell anyone and EVERYONE!! 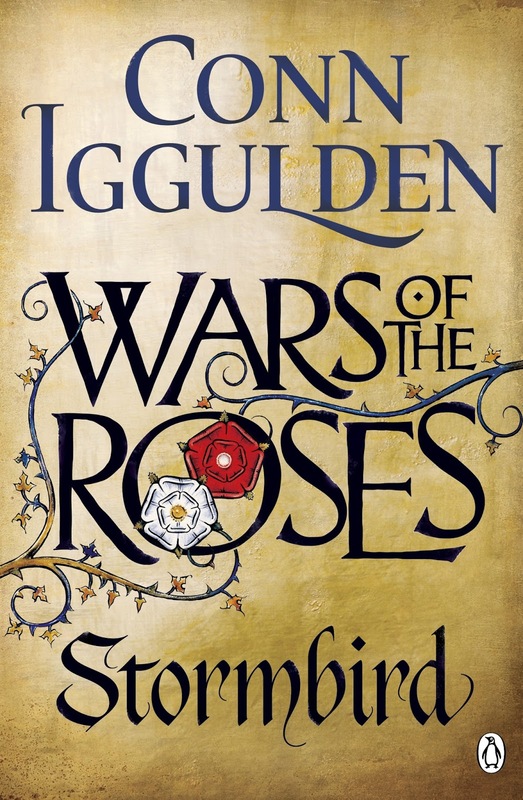 To prove how much I love Conn Iggulden, this is my third time reading War of the Roses Stormbird. Not only was I on the edge of my seat every time I read it, but being apart from it for a second was painful. Life needed to take a back seat while I was reading this book. I don’t believe it has anything to do with my love of history, especially this genre, but Conn’s ability to pull you into the life of these people, who are all struggling in their own battles. In the point of view of many characters, you get a broad understanding on what is happening and hear from them, instead of what people with power have to say. I literally could go on and on about this book, but I do want to start book two, Trinity, and no doubt if I keep going I might spoil it for those who haven’t read it yet. So hurry up and read this book.